A stateful packet firewall, while essential, simply isn’t enough anymore. The reality is that every network needs a full arsenal of scanning engines to protect against spyware and viruses, malicious apps and data leakage – all the way through ransomware, botnets, advanced persistent threats, and zero day malware. 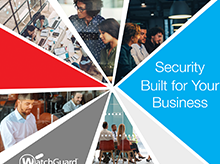 WatchGuard’s award-winning network security platform provides the most complete suite of unified security controls on the market today. 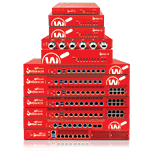 Whether you have a single location, a small chain of outlets, or thousands of locations around the world, WatchGuard has an appliance that’s right for your environment. We offer a full portfolio of Firebox security solutions in both tabletop and 1U rackmount models. Operating your business from virtual networking resources presents a unique challenge in cyber security. WatchGuard allows you to protect virtual infrastructures – whether you virtualize a single physical server into multiple segmented servers or extend your network perimeter into the Cloud – with the same comprehensive suite of defenses that our physical appliances deliver. At WatchGuard, we believe simplicity is the key to successful adoption of technology. As such, all of our products are not only easy to initially configure and deploy, they are also designed with an emphasis on centralized management, making ongoing policy and network management simple and straightforward. The security landscape may be complex, but managing your organization’s security doesn’t have to be. At today’s speed of business, critical decisions about security need to be made quickly before damage is done. 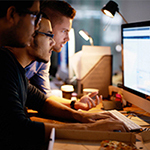 WatchGuard’s built-in visibility platform lets you know what’s happening not just in the network, but on your devices inside and outside the firewall. 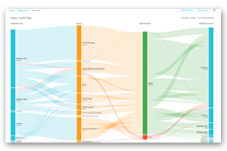 We convert oceans of log data into easily consumable, actionable information that enables informed business decisions – with reports that demonstrate compliance adherence and show the true ROI of your IT expenses. 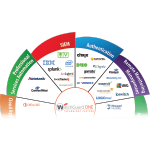 WatchGuard understands that our technology is part of your broader IT ecosystem, so we offer out-of-the-box integrations with many of the other products and services you use. Each integration is verified and documented with an integration guide for step-by-step configuration, and better yet they are available to you at no additional cost. Protect more applications and more users, while simplifying your IT management.